"You may not be surprised to hear that Tuscany is our most requested swap destination in Italy. It's super popular with Europeans as much as our American and Australian members - obviously, as a result of the beautiful countryside, climate and cuisine - it's also common to see members swap with more than one Italian destination as part of the same trip, particularly for longer haul swaps." 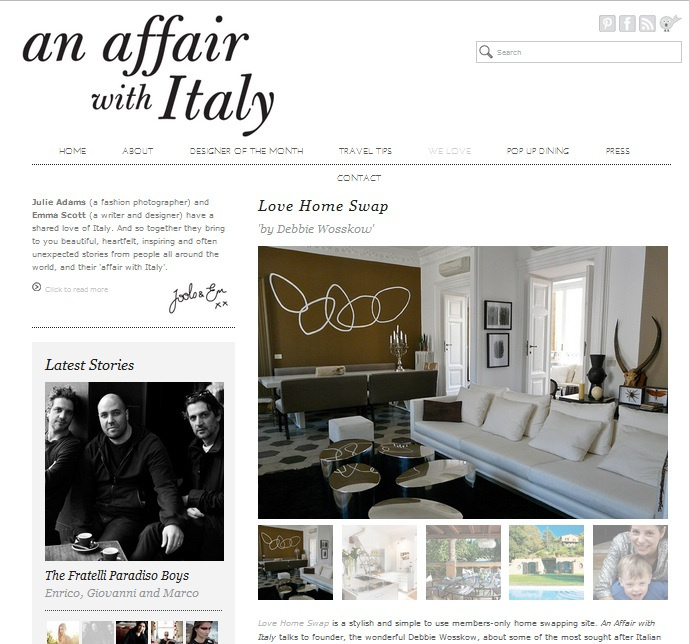 The fantastic blog An Affair With Italy talks to Love Home Swap founder, Debbie Wosskow about home exchange and lovely Italian homes. Read the full post here.